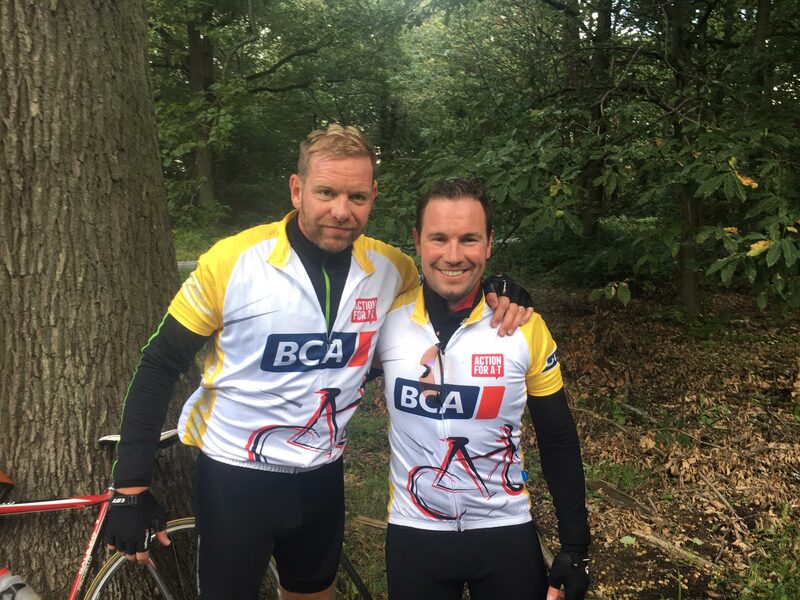 Tim Duckers and James Mullins, Cambria's Managing Director and Finance Director have successfully completed the London to Paris bike ride for Action for A-T Charity with BCA. "This is a great charity that is raising money to proactively find a cure for this rare A-T disease and both Tim and I would greatly appreciate your support by sponsoring us through our Just Giving page below." Ataxia –Telangiectasia ("A-T") is a degenerative brain condition only affects young children. Children are born normal but peak physically by the age of 5 before slowly losing their physical abilities including the ability to walk, talk and even to feed themselves. Mentally they remain unaffected and so they effectively become trapped in a deteriorating body. On top of the severe physical disabilities children with A-T must face, the condition also attacks their immune system. 1 in 3 children with A-T will develop cancer and many will die from lung disease. More than half will die before they are out of their teens and there is currently no cure and nothing that can slow the condition's progression. The charity was established Action for A-T in 2012 following the diagnosis of the founders daughter with A-T.
Action for A-T’s mission is simple, we aim to speed up the process of identifying a cure for A-T or treatments that delay or prevent the disabling effects of the condition. Since 2012, they have invested more than £1.7 million in 27 international research projects.